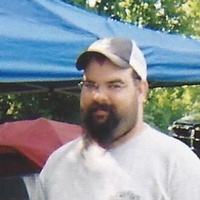 Jeffery L. Kuhn, 47, was surrounded by his loving family when he passed away at 4:32 a.m., Friday, April 12, 2019, at his brother’s home. This followed a brief yet valiant battle with liver cancer. On Aug. 3, 1971, Jeffery Lee Kuhn was born in Rochester. He was a treasured son of Michael and Nancy Lee Swick Kuhn. Jeff was the youngest of three brothers sharing his childhood with James and Brian. He graduated from Rochester Community High School with the Class of 1990. With great knowledge of mixology, in the early years, he was a bartender, professionally pouring drinks at the Main Street Tavern. He was a machine operator at Accument Global Technologies for many years. With special automotive knowledge, he worked at Auto Zone. He was a member of the Fraternal Order of the Eagles Lodge. Each year he worked hard at their annual golf outing to provide scholarships for local deserving students. Grilling out everything was Jeff’s specialty. He had an affinity for fine cigars and Crown Royal and enjoyed them both while grilling. He was best remembered for his mouth-watering brisket, sizzling fresh from the grill. An American sportsman, he enjoyed the annual deer follies with the Swick Clan. During hunting expeditions much comedy occurred, then they returned home to regroup, telling many stories and some tall tales about the day’s events. To relax Jeff enjoyed John Wayne movies. He was an avid NASCAR fan. One of his favorite drivers was Dale Earnhardt Jr. Last year he was in the infield of the Indianapolis Brickyard 400 Race. Paramount in Jeff’s life was his family. Of course, he loved family time and grilling special meals for them. Celebrating birthdays and other family events were fun. The holidays were most special to Jeff making many memories. He tormented his Indiana nieces, but with all of his nieces were the amazing food fights. Armed with spinach dip, pudding or whipped cream they all enjoyed flinging it back and forth and a favorite target of their’s was Uncle Jeff’s thick, burly black beard. It was a bit challenging removing the food and many times he retreated home and jumped in the shower to clean up. Oh, and always at his side was his partner in crime, be it a food fight or relaxing in the recliner Yogi his treasured canine was always there. Left to cherish his memory are two brothers: James Kuhn and wife Betsy of Rochester; Brian Kuhn and wife Jami of Jacksonville, N.C.; nine nieces and nephews: Eric Kuhn and companion Belinda Conrad, Ashley Kuhn, Kaitlin Kuhn, Jana Kuhn and companion William Crankshaw, Amanda Barnes, L. B. Peradotto IX and wife Jasmine, Hillary Peradotto, David Kuhn, and Cassidy Kuhn; ten great-nieces and nephews; several aunts, uncles, cousins; and his canine companion, Yogi, his long-haired reddish-brown miniature Dachshund. Preceding Jeff in death are his parents, Michael Kuhn in 1993 and Nancy Kuhn in 2017; grandparents Claude and Fern Swick, and John and Dorothy Kuhn. Private family services will be held at a later date. Arrangements have been entrusted to the Good Family Funeral Home of Rochester. In lieu of flowers friends are asked to honor Jeff’s memory with a contribution to the Eagles Scholarship Golf Outing, 1081 East 4th Street, Rochester, IN 46975 or the Fulton County Cancer Fund thru the Northern Indiana Community Foundation 227 East 9th Street, Rochester, IN 46975.